There’s a rhythm to filmmaking – in many ways, every TV show and every film is like a song, with winding solos and swelling climaxes. Many great directors and writers have their own, personal song – a stamp of their style that is clearly witnessed in every frame of every piece that they make. Words and visuals are, of course, a huge part of creating this. But equally important are the moments between the words. The beats. The silences. There are few television shows that use silence more effectively than Breaking Bad and Better Call Saul. Luckily, I have the great pleasure of being friends with one of the editors on both shows, Chris McCaleb. Chris (who also worked as an editor on Halt and Catch Fire, Patriot, Fear the Walking Dead and many, many other great projects) got his start in digital. We crossed paths in 2007, when Chris was a co-founder of a company called Big Fantastic – one of the first production companies creating content in the digital age. Great content, I might add. A fantastic director and writer as well as an editor, Chris has an infectious love of filmmaking. You can tell in the way he describes anything from a branded project he did ten years ago, to working on one of the best TV series of our generation – he’s in love with the process, the art and music of it all. I recently had a chance to sit down with Chris and, over more than a couple of beers, talk to him about the importance of silence in editing. So, how important is silence to an overall cut? “It’s critical.” Chris tells me. It’s a beautiful sentiment, but when you’re rushing to hit a deadline and six producers are breathing down your neck (and often chewing on almost impossibly loud snacks behind you), it’s easy to take shortcuts and forget about those moments. Chris pauses and takes a drink of his beer to punctuate his point. It’s quiet. He seems wiser, somehow. Damn, it is all about the non-verbal communication. It’s easy to wax poetic about the majesty of silence, but how does an editor make sure they don’t cut line by line. How does a good editor (like Mr. Chris McCaleb himself) not fall into that trap? Sometimes, the beats, the pauses are built into a script. But more often, they are found in the acting and the directing of a scene, and it’s an editor’s job to find those moments. Watching your dailies also means you know what you’re working with. As Chris explains, “Sometimes, they’ll shoot a scene, especially in television, they don’t have a lot of time and they might not have the time to get that reaction shot that you’re really going to need. Or that little… something, a little reaction. And maybe the actor didn’t think to do it. Or maybe the director didn’t think to do it, or didn’t have the time, or whatever. Or maybe on the version that they did, the camera messed it up. It happens all the time. Chris uses silence in another way, one that hadn’t necessarily occurred to me. This idea fascinates me. As a director, I’ll find that oftentimes, when my higher-ups ask for us to trim a cut, the things that often go are the silences. Whenever I fight for more time in a piece, I’m often fighting for these non-verbal moments. Chris, on the other hand, will sometimes use these moments specifically to cut down a scene – a magical realization for me, personally. Watching your dailies is also key in getting to know the characters that you’re cutting and to catch the many shades of emotion that great actors bring to a role. That emotion, oftentimes, is captured in the silence rather than in the dialogue. Unfortunately, when you’ve got great actors – the kind that Chris has had the luck of working with for much of his career – you get almost too many moments. “A lot of times in editing, you’re faced with the problem of, I don’t have enough footage… I don’t have enough angles… I don’t have enough coverage. I don’t have enough of these moments. But with Breaking Bad or Better Call Saul or with a lot of the shows I’ve worked on, but especially Breaking Bad and Better Call Saul, you had a different problem – which is there is too much good stuff. Where do you start? That is a fair amount of dailies. Particularly when you’re committed to watching all of them. But to Chris, watching them was essential – it was the only way he could get to know the characters and use the actor’s quiet moments to make the scene work. Comedic beats are the lifeblood of a good comedy. The rhythm of comedy is key to its success, so I wondered if Chris approached using silence in comedy differently than drama. That exception is Arrested Development. The jokes in that show are a mile a minute. The actors come equipped with their own beats and the show is so chock full of comedy that you can find something new on every re-watch. It’s a point I hadn’t considered before. The Netflix season is, indeed, a little off. Aside from the independent storylines, the show doesn’t quite feel like itself. Chris’s theory extenuates the sheer importance of using silence properly – or, in this case, the lack of silence. In the original seasons, the editors of the show were forced to get rid of many of the silent moments, and that created that rhythm, that machine-gun of comedy that made the whole thing work. And maybe, just a little worse. One of my favorite episodes of Breaking Bad is a bottle episode involving Walter White, Jesse Pinkman and a fly. Stuck in their lab, the two are trying to catch said fly while a huge looming secret (spoiler alert: Walt sort of, kind of killed Jesse’s girlfriend) lurks in the darkness of their silences. It’s a beautiful episode, intense and crafted perfectly. On the other hand, we’ve all watched films where the long, drawn out pauses between characters are… just bad. Boring. Overwrought. Just like the constant patter of dialogue can ruin a good scene, can too much silence create something unwatchable? Indeed. 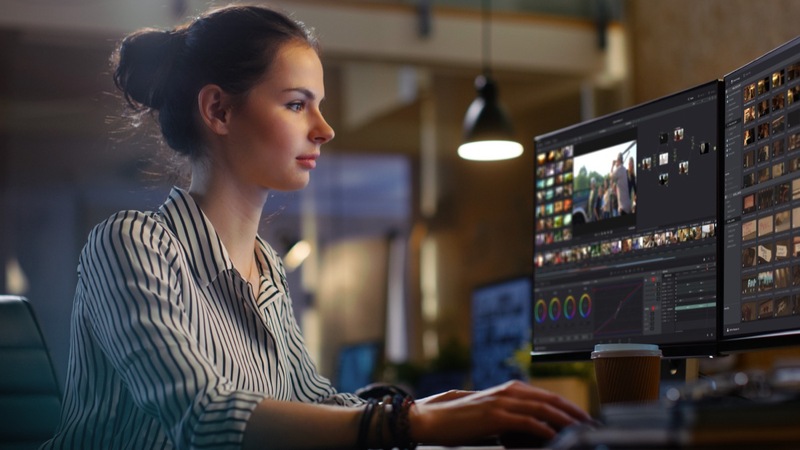 It’s difficult to know when an editing device is being overused – particularly when you’ve spent hours looking at it in the quiet of your own room/office/basement suite. But, at the end of the day, it comes down to one important point: what services the story best? Another hugely important use of silence: creating the rhythm to your piece. Much like Arrested Development, the patter of an Aaron Sorkin piece has very little silence – and when he uses it, it’s potent. Jim Jarmusch, on the other hand, uses silence as his main weapon. It’s orchestral. When the band’s music swells in the climax, it’s made ever more powerful by the silent moments that came before it. While some people hated Magnolia (a great example of a film’s style that proved far too boring for some), it has always, to me, been a fantastic example of the musicality of film. Filmmaking is a busy craft. When you’re in the middle of it, you’re so focused on your job that it’s hard to see how magical the whole process is. It’s a song being composed by hundreds of people, all at once, almost without knowing it. It’s a powerful experience. As a director, I often find myself sitting with my editor and tweaking a comedic beat for hours, just trying to get it right. Sometimes, a millisecond is the difference between a joke landing and a joke succeeding. So, how do you know how long a silent beat should last? Editing, as Chris suggest s, was literally down to a science. There was no fiddling with a beat – you had your rhythm pre-planned. It’s easy to lose objectivity when you’re watching a scene over and over and over again, and in those cases the best choice can be to simply walk away for a while and come back to it with fresh eyes. To finish off our chat, I wanted to hear a war story. A real life example where Chris used silence to significantly change or affect a scene. He thought about this for a while… another beer mysteriously went missing. I gave him a long, impossible-to-measure beat to think about it. Finally, at just the right moment, he had it. “On Halt and Catch Fire, in season 2, there was a dialogue scene. And for a number of reasons, we needed to cut it out – but we still needed kind of the beat, the moment that happened in it. The story speaks to Chris’s creativity, skill and experience. Here is a guy who intimately knows every tool in his toolkit – from silence on – and knows just when to use them. “It’s cliché to say that it’s like, painting with different brushes and different paints…” Chris has moved on from his previous music metaphor – “…they’re tools in the construction of a scene. And what’s cool about visual medium, movies and TV, it’s so many different paintbrushes coming together to paint something that is often totally different than what you imagined it would be. Sometimes it’s better, a lot of times it’s worse but it’s always an interesting journey to get there. I think so too. Thanks for reading. Thank you to Yuri Baranovsky for contributing this article. Yuri Baranovsky is a director, writer and one of the founders/partners of Happy Little Guillotine Studios (www.hlgstudios.com), a production house and creative agency that has been creating innovative branded and original content for the web for over 10 years.